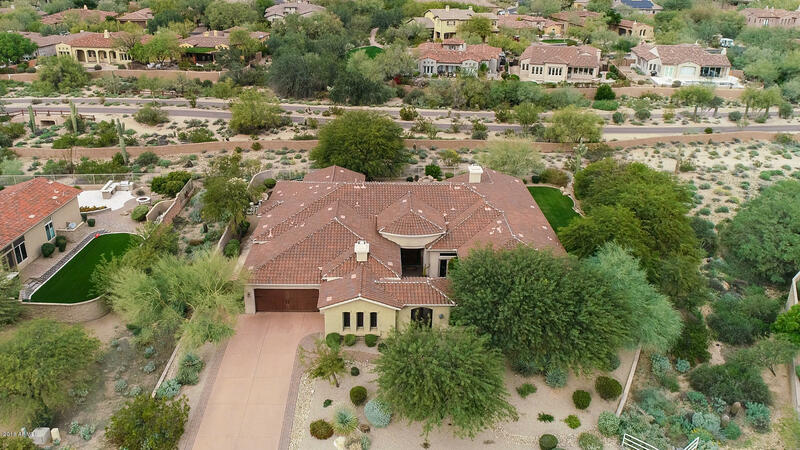 All La Strada homes currently listed for sale in Scottsdale as of 04/23/2019 are shown below. You can change the search criteria at any time by pressing the 'Change Search' button below. "Welcome to the uniquely appointed (and gated!) community of La Strada--a highly desired neighborhood which rests adjacent to DC Ranch and Silverleaf, but with a low HOA! This home offers privacy, serenity, and luxury while strategically backing to a quiet neighborhood road for unobstructed, panoramic views of the McDowells! And, with nearly an acre of land surrounding your 5,240 SQFT home, those open views are artfully complemented by lush landscaping, a heated Pebbletech pool, and tasteful outd"